When Miller’s dad leaves their family, he announces that he is going to join the war in Iraq, and Miller takes him at face value. Miller’s mother, on the other hand, is adamant that her husband could not possibly have gone to Iraq – after all he was too old, too out of shape, too lazy. When Miller continues to insist that his father is in Iraq and letters start showing up, ostensibly from his father, Miller’s mother put him into therapy. Miller’s doctor, who refers to him as M., is a bit pretentious but does seem to have M.’s best interests at heart – if only because he has a crush on M.’s mother. Everything comes to a head when Miller discovers that his father – or someone he assumes is his father – is lying unconscious in the Veteran’s Hospital. In order to return his father to health and to his own life, Miller decides that he must find Exley, whose fictional memoir, “A Fan’s Notes,” is the one thing Miller’s father is truly passionate about in life. He is certain that if he brings Exley to his father, his father will get well again. Over the last weekend, I found myself in a bit of a reading funk. I had a hard time picking up or concentrating on anything, until I picked up “Exley.” As might be expected of an author whose first book is titled, “An Arsonist’s Guide to Writers’ Homes in New England,” Brock Clarke has, with “Exley,” written a quirky and fascinating novel. The most immediate thing that captured my attention was the question of whether or not Miller’s father really went to Iraq and whether he was currently lying unconscious in a hospital bed. This brought up an even more intriguing question: if he had not been to Iraq, was Miller simply misinformed and confused, or is he an unreliable narrator? There is, of course, the issue of the man in the hospital, as well as some letters Miller’s mother intercepted, which she believes that Miller wrote and had someone post from an APO address. This is an incredibly quirky book, with Miller expounding on things his father taught him, which his father learned from Exley, and calling people by their initials and speaking in imprecise dates as his father and Exley both do as well. Although not for the easily offended, Exley is an immensely enjoyable book which I can highly recommend. Ah yes, another of Daniel’s books that I can recite virtually all of without even glancing at the page (a very helpful skill, that, when he is being a squirmy wormy). 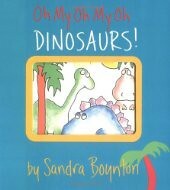 “Oh My Oh My Oh Dinosaurs” is and has long been our favorite Sandra Boynton book, and we do love Sandra Boynton. The dinosaurs in this book are hilarious and endearing, and appear in pairs of opposites. Like so many of Boynton’s books, this one has a great rhythm, and really lends itself to fun vocal expression. Now, at 17 months and after reading this book since we received it at his first birthday, I must say that Daniel is starting to get the slightest bit tired of the book and doesn’t ask for it or automatically bring it to me as he used to do, but nearly five months worth of daily readings says to me that this book holds up pretty well. Honestly, even my husband and I didn’t get tired of reading it so often, because it is such a fun book. 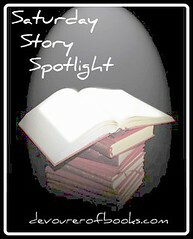 Thank you to Sheila from Book Journey for creating my button for this feature!